Hope you are well and looking forward to Christmas! I shall be returning to the National Craft & Design Fair, in the RDS, Dublin from the 3rd - 7th of December. 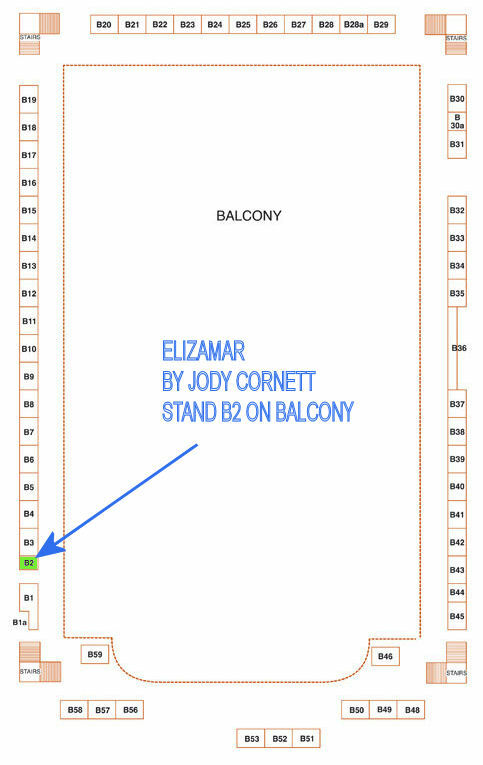 I can be found at the same stand as last year, B2 in the Balcony (see map at the following link : Dublin Map ). If you have any specific requests, avoid disappointment by letting me know as soon as possible any pieces you would like to see at the show; black pearls necklaces, tourmaline rings etc. As well as my usual collections I have several new pieces designed specifically with the show in mind, but you shall have to wait to see them! Saturday 6th & Sunday 7th, 10am - 7pm. The new site has been launched. Its still under construction and a bit bare at the moment please check back for updates in the near future. You are currently browsing the Elizamar News blog archives for November, 2008.